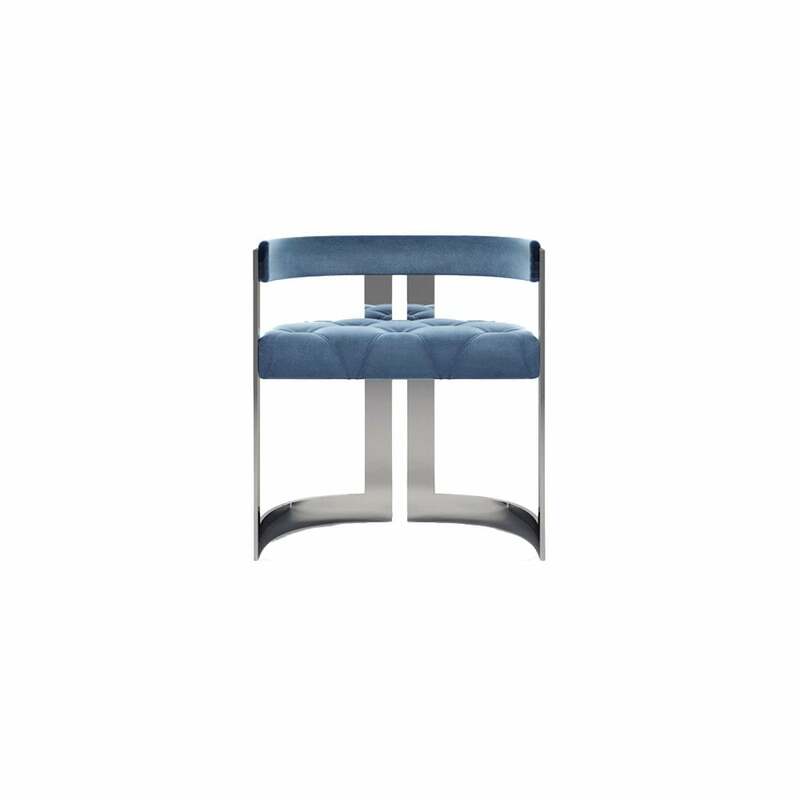 Part of the Century Collection by Ottiu, the Winfrey Dining Chair has a timeless design that can transcend decades. Inspired by Hollywood’s golden era, we imagine the Winfrey Dining Chair adorning the best restaurant and jazz clubs of the art deco era. Hand-crafted from brushed brass, the architectural frame supports a curved seat with contoured backrest. Upholstered in the finest cotton velvet, the seat features beautiful Capitonné detailing. An elegant addition to any dining space, the Winfrey Dining Chair will suit both contemporary and period interiors. Available in range of finish options, get in touch with our team for more information. Priced for Upholstery: Ottiu Fabric. Structure: Nickel plated brass. Details: Capitonné.